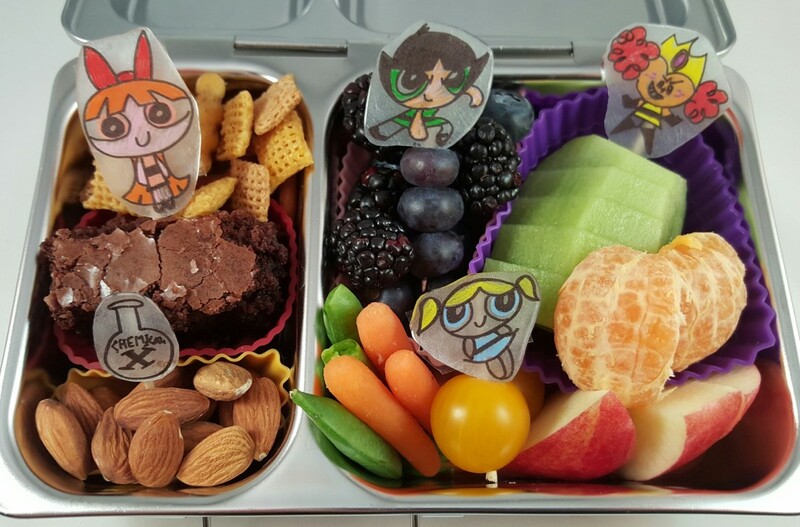 My kids have long enjoyed watching old episodes of The Powerpuff Girls on Netflix. So, they were super excited to learn Cartoon Network would be showing new episodes. To celebrate, we worked together to select some of their favorite characters from the show. 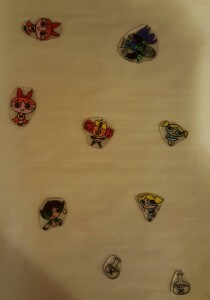 I then drew their selections on Shrinky Dink paper and made picks for decorating their lunch. The lunch above was my daughter’s. She asked to include Blossom and Bubbles and she wanted Mojo Jojo as her featured villain. 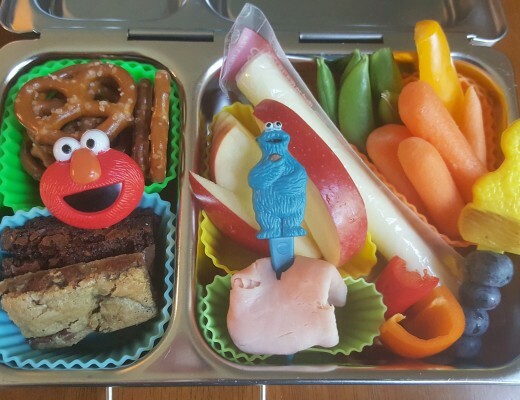 She had fruit and veggies on the left side with deli turkey, a slice of cheddar cheese, pretzels, and a brownie on the right side. My son had the lunch above. He had Chex Mix, a brownie, and almonds on the left side with veggies, blueberries, blackberries, kiwi, orange and apple slices on the right. He wanted to include Buttercup, and he specified that she should be in a kicking pose. 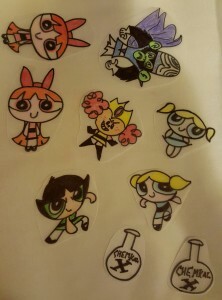 He also asked for Blossom and Bubbles. He requested Princess Morbucks as his villain. I made flasks labeled “Chemical X” for both lunches because both of my kids like to sing that part of the opening song on the old episodes. 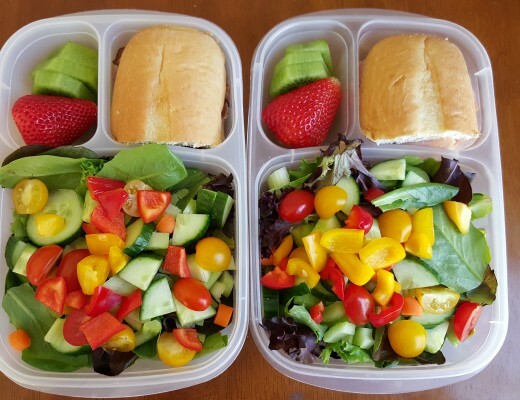 I packed the lunches in our Planetbox Shuttles, which are a great size lunchbox for kids, very durable, and dishwasher safe. 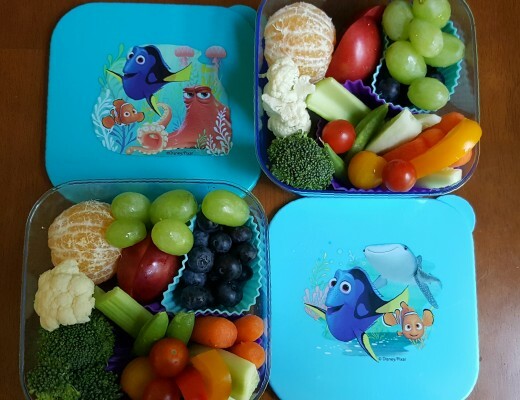 Also, the latch on these is easy for kids to open and close so I have been able to use these boxes for my kids for years knowing that they would be able to independently open and close their lunch while at school or daycare. 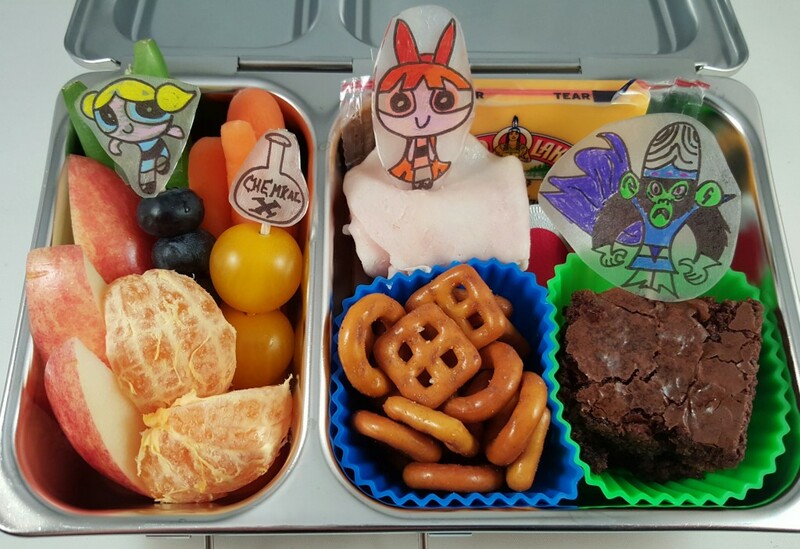 Both of my kids were really excited about these lunches. They enjoyed selecting the characters and my daughter helped color the pictures. Below you can see the figures before and after the Shrinky Dink paper was baked.